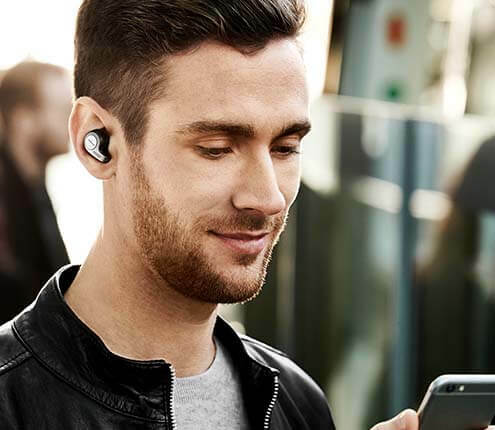 Enterprise Connect Show, Orlando, 27th March, 2017 – Audio and communications technology specialist, Jabra, today announced the launch of the Jabra Speak 710. The premium, portable speakerphone is designed for professional and personal use and ensures great sound for conference calls and music. The Jabra Speak 710 is a high-end personal device providing premium HiFi grade audio and a superior Unified Communication experience. The Jabra Speak 710 is the perfect partner for business leaders and C-level executives. This highly mobile target group works on average almost 58 hours a week, of which they spend nearly 2.5 hours in meetings every day. Besides having a highly collaborative job, they also travel frequently - with 86 percent spending up to ten days per month on the road1. To accommodate their lifestyle, business leaders and C-level executives require solutions that support mobility, collaboration, connectivity, and flexibility. Working primarily in distributed teams across several time zones, they need extended collaboration and mobility to enable conference calls whether on the road, in the office, at home, or in a hotel. 40 percent of business leaders use speakerphones for conference calls once or twice a week, while 21 percent use them three to five times in a week2. However, far too often, audiences experience a major impact on the effectiveness of calls3. For a business group that spends a large amount of time on the phone and in meetings, this has a serious effect on productivity. The Jabra Speak 710 is the first truly professional and personal conferencing device, boasting an omni-directional microphone for up to six ‘in room’ attendees, 15 hours of battery life, and a HiFi grade speaker for crystal clear conversation and music. The Jabra Speak 710 builds upon the success of the Speak Series, which has sold more than 1 million units worldwide. The Jabra Speak 710 delivers an audio performance twice as powerful as Jabra’s market leader Jabra Speak 510. The new family member is designed with an incredible smart feature, enabling two units to be wirelessly linked together with the touch of a finger. Users can easily pair two devices and create an immersive sound or expand the room coverage from six to twelve attendees. Research shows a third of conference calls are delayed due to setup issues with connections and speaker phones, 15 percent of meeting time is spent ‘getting started’, and one of the most common frustrations is poor sound quality4. Bringing a plug-and-play, easy-to-use speakerphone experience with premium audio to offices and small conference rooms, the Jabra Speak 710 works with all types of smart devices. It integrates seamlessly with all Unified Communications platforms and eliminates the need for dial pad solutions – challenging the traditional hardware approach to conference calling. With more power than ever before, the Jabra Speak 710 Series comes in a small, compact design, with an integrated folding stand for extra flexibility. Connect to a smart device or laptop in seconds via USB or Bluetooth via the enclosed dongle. This provides a 100-foot range for laptops or 33-foot range for smartphones. Effortlessly switching between music and calls, the Speak 710 can become a powerful music speaker. Simply connect to an online music streaming service or music library on the mobile device. 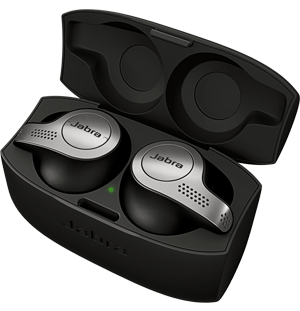 The Jabra Speak 710 (RRP USD 299/EUR 275) will be available in selected retailers from April 2017. If you are interested in a review sample of one of the above speakerphone or if you require (high res) imagery, please send an email to jabraus@teamlewis.com. Jabra, part of the GN Group, is a leading developer and manufacturer of communications and sound solutions. We are committed to letting people hear more, do more and be more than they ever thought possible. We believe that through sound, we can transform lives. Jabra innovates and empowers with sound solutions for businesses and consumers, producing corded and wireless headsets, portable and in-office speakerphones, and sports earbuds. Jabra employs 1,000 people worldwide, and produced an annual revenue of DKK3.5 bn in 2016.